When you first stop smoking, you will likely experience strong cravings for a cigarette. But these are temporary symptoms you experience as the nicotine leaves your body – and you don’t have to give into them. Cravings come in waves and will pass – so you can ride them out or distract yourself with tried and true methods used by other quitters. Most cravings only last about three minutes. If you can distract yourself for a few minutes, the cravings should pass – so try to wait it out and distract yourself with some of the tips below. Common triggers that make you want to smoke include drinking coffee or alcohol, after meals, talking on the phone, and driving. When you quit, it’s important to break the connection between your smoking and your daily routines to help you avoid cravings when possible. When the cravings hit, distract yourself until the craving passes. Give your strategies a try – or come up with some new distractions. Washing your hands or getting them dirty is a good distraction, and it's also impossible to smoke with wet and goopy hands. Taking a shower is another place you won't associate with smoking, and a craving passes faster than you can take one. When you quit smoking, you may want to find some new activities. Exercise is a great way to help your lungs get healthy even faster! Jogging, playing tennis, swimming, riding a bike or joining a hiking club are a few examples of great exercise you can do by yourself or with a friend or two. You may notice that your hands get anxious and need something to do. Instead of reaching for a cigarette, try your hand at crossword puzzles or take up knitting or painting. Do woodworking, gardening, or household chores. Find a game on your phone that you can play to keep your fingers and your brain distracted. Delay for three minutes: In most cases the cravings to smoke will pass in about three minutes, so don’t cave to the crave. Instead, do some stretches when you’re tempted to reach for a cigarette. Do something else: Keep your hands and mind busy. Do something that makes it difficult to smoke, like having a shower or exercising. Deep breaths: Take long, deep breaths through your nose and hold for five seconds. Slowly breathe out through your mouth for a count of seven. Drink water: Drink a glass of cold water – take slow sips and hold the water in your mouth for a few seconds. 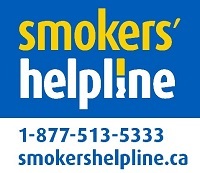 Dial a friend: Call someone that supports your effort to quit smoking. If you would like further support dealing with cravings, consult your pharmacist, physician or a Quit Specialist at the Smoker’s Helpling to discuss other options to help you get through the difficult times.